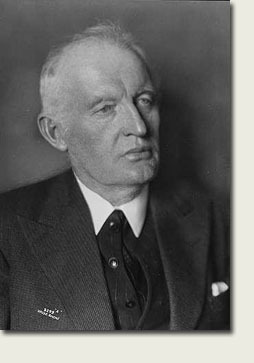 The Norwegian artist Edvard Munch is regarded as a pioneer in the Expressionist movement in modern painting. At an early stage Munch was recognized in Germany and central Europe as one of the creators of a new epoch. His star is still on the ascendant in the other European countries, and in the rest of the world. Munch's art from the 1890s is the most well known, but his later work is steadily attracting greater attention, and it appears to inspire present-day artists in particular. Edvard Munch grew up in Norway's capital, Oslo, then called Christiania. His father, Christian Munch — brother of the well-known historian P.A. Munch — was a deeply religious military doctor earning a modest income. His wife, who was 20 years his junior, died of tuberculosis when Edvard was only five years old, and Edvard's older sister, Sophie, died of the disease at the age of 15. Edvard himself was often ill. A younger sister was diagnosed with mental illness at an early age. Of the five siblings only one, Andreas, ever married, only to die a few months after the wedding. His childhood home was culturally stimulating, but in his art Munch turned again and again to the memory of illness, death and grief. After a year at Technical School, Munch became dedicated to art. He studied the old masters, attended courses in the painting of nudes at the Royal School of Drawing and was instructed for a time by Norway's leading artist, Christian Krohg. His early works were influenced by French-inspired Realism, and his great talent was soon discovered. In 1885 Munch went on a short study tour to Paris. That year he started on the work that was to be his breakthrough, "The Sick Child", in which he makes a radical break with the realistic approach seen in a similar motif by Christian Krohg. Munch's picture was about his sister Sophie. He struggled with the motif a long time, searching for "the first impression" and a valid painterly expression for a painful, personal experience. He had renounced perspective and plastic form, and had attained a composition formula reminiscent of icons. The course texture of the surface displayed all the signs of a laborious creative process. The criticism was very negative. His main works from subsequent years are less provocative in their form. "Inger on the Beach" from 1889 shows Munch's ability to portray a lyrical atmosphere, in keeping with the new romantic trend of that time. The picture is painted in Åsgårdstrand, a small coastal town near Horten. It is this region's characteristic coastline we find used as a meaningful "leitmotif" in so many of Munch's compositions. In 1889 he painted a portrait of the leader of the Kristiania (as Christiania was now spelled) bohemians, Hans Jæger. Munch's association with Jæger and his circle of radical anarchists became a crucial turning point in his life and a source of new inner unrest and conflict. At that time Munch commenced an extensive biographical literary production which he resumed at different periods in his life. These early writings serve as a reference for several of the central motifs of the 'nineties. In keeping with Jæger's ideas he wanted to present truthful close-ups of the modern individual's longings and agonies — he wanted to paint his own life. In the autumn of 1889 Munch held a large separate exhibition in Kristiania, and was thereafter awarded a state travel grant for three consecutive years. Naturally, he went to Paris, where for a short time he was a pupil of Léon Bonnat, but he became more inspired by acquainting himself with the city's art life. At that time a Post-Impressionist breakthrough was in progress along with different anti-naturalist experiments. This had a liberating effect on Munch. "The camera cannot compete with a brush and canvas," he wrote, "as long as it can't be used in heaven and hell." The first autumn, shortly after Munch arrived in France, he was informed that his father had died. The loneliness and melancholy in the painting "Night" (1890) are often seen with this in mind. The dark interior with the lonely figure at the window is completely dominated by tones of blue — a painting of nuances which may be reminiscent of James McNeill Whistler's nocturnal colour harmonies. This modern and independent work is also an expression of the "decadence" in the final decade of the century. At the Autumn Exhibition in Kristiania in 1891 Munch showed among other works "Melancholy." Great curved lines and more homogeneous colour surfaces dominate here; there is a simplifying and formalizing of the motif similar to that found in French Synthetism. "Symbolism — nature is formed by one's state of mind," wrote Munch. At this time Munch did the first sketches of the well-known "The Scream." He also painted several pictures in an Impressionist style verging on pointillism, with motifs from the Seine and from Kristiania's promenade, Karl Johan. However, it is the impressions of the soul, and not the eye, that are Munch's main interest. "The Scream" is often described as the first expressionistic picture, and is the most extreme example of Munch's "soul paintings." The facial expression depends to a large degree on the painting's dynamics, the colours and lines. The scene — and particularly the foreground figure — are grotesquely distorted and rendered in colours that are not taken from external reality. Coming as it does from Munch's own "inner hell", the painting visualizes a desperate aspect of fin-de-siècle: anxiety and apocalypse. The percussiveness of the motif shows that it also speaks to our day and age. In the autumn of 1892 Munch gave a broad presentation of his art, in which he included the fruits of his sojourn in France. This exhibition resulted in Munch being invited to show the same paintings to the Artist's Association of Berlin. It was a formidable "succès de scandale." The general public and the older painters interpreted Munch's art as anarchistic provocation, and the exhibition was closed in protest. Because of that, Munch had made a name for himself in Berlin and he decided to stay there. He entered a circle of literati, artists and intellectuals, including a strong element of Scandinavians. The circle numbered among others the Norwegian sculptor Gustav Vigeland, the Danish writer Holger Drachman, the Polish poet Stanislaw Przybyszewski and the German art historian Julius Meier-Graefe. Of most importance to Munch was the meeting with Swedish dramatist August Strindberg. They discussed the philosophy of Nietzsche, occultism, psychology and the dark sides of sexuality.